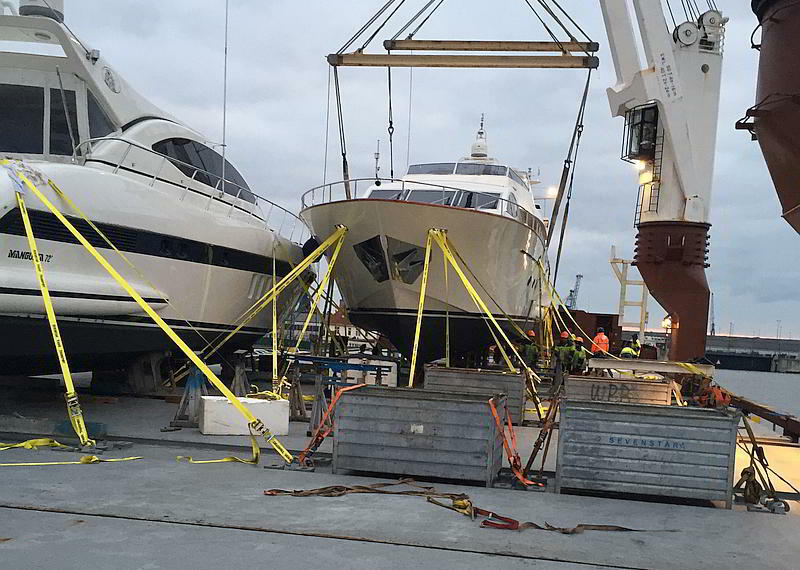 Sevenstar is the world’s leading provider of yacht transports on lift-on and lift-off basis. 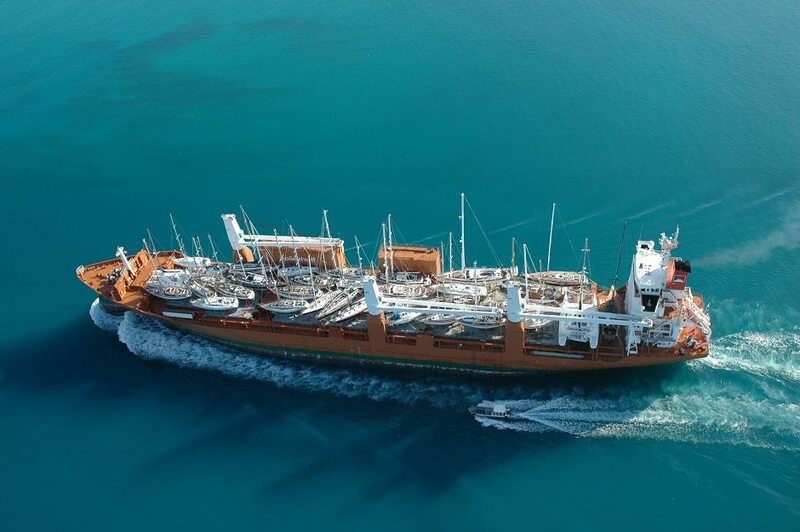 Sevenstar annually transports about 2,000 yachts worldwide. 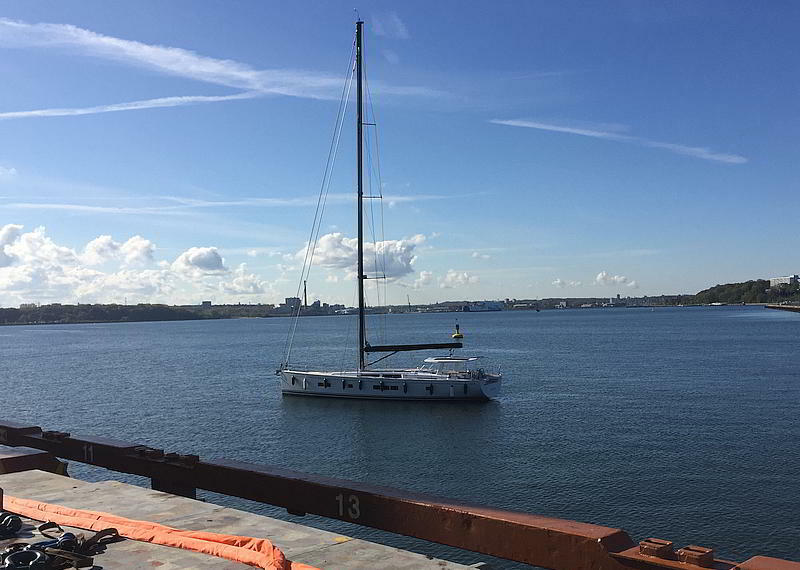 We are the exclusive booking agent for the region Northern Europe and accompany you with the booking and realisation of the transport. 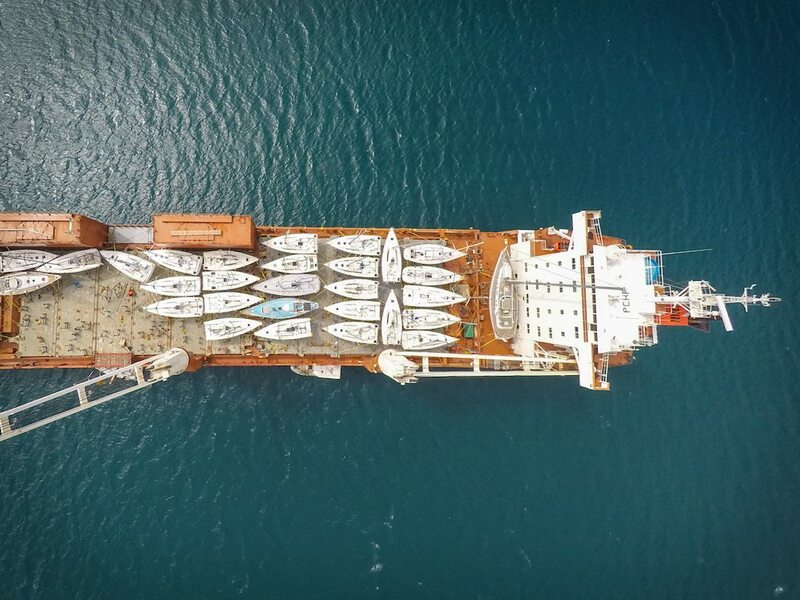 Based on decades of experience, we have developed techniques, which secure a save and efficient loading and discharging process. 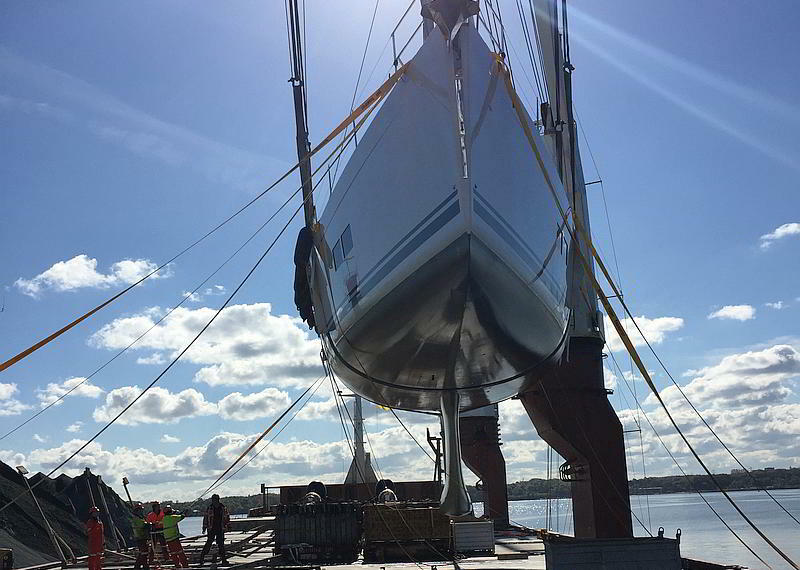 Every single loading and discharge process happens under the supervision of our highly skilled loadmasters. 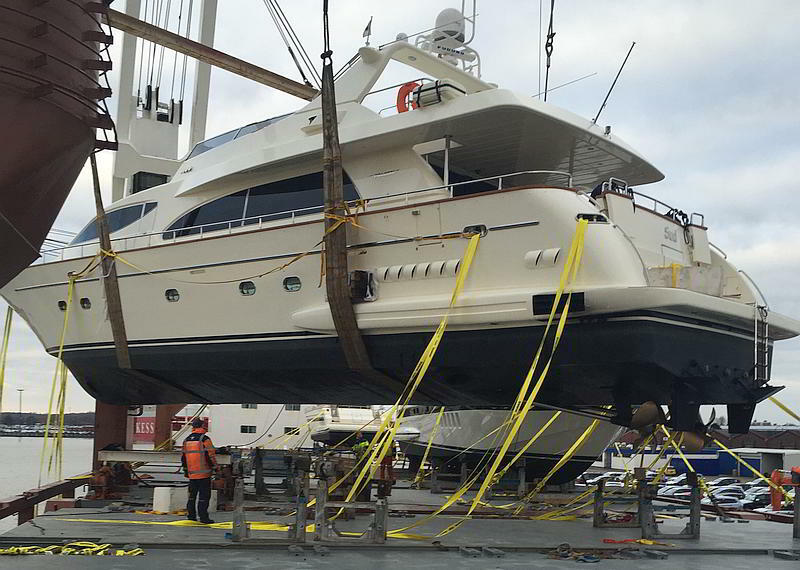 An operation planned down to the finest detail is the key for a successful yacht transport. 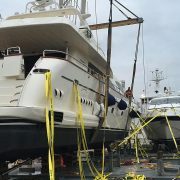 A professional team coordinates every single step; from the order taking to the arrival at the destination; from the procurement of the loading and lashing material to the final position of your yacht on the deck of the cargo ship – every detail is precisely planned. The more information we receive from you beforehand, the better we can organise the individual process. 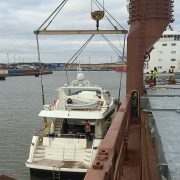 The yacht is brought alongside the ship. 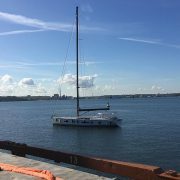 If needed, you will be supported by an experienced skipper. 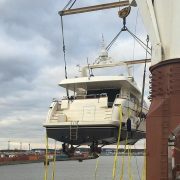 Hoisting slings are placed and secured. 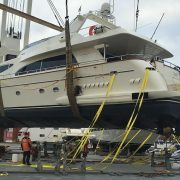 A diver checks the process from the water side. 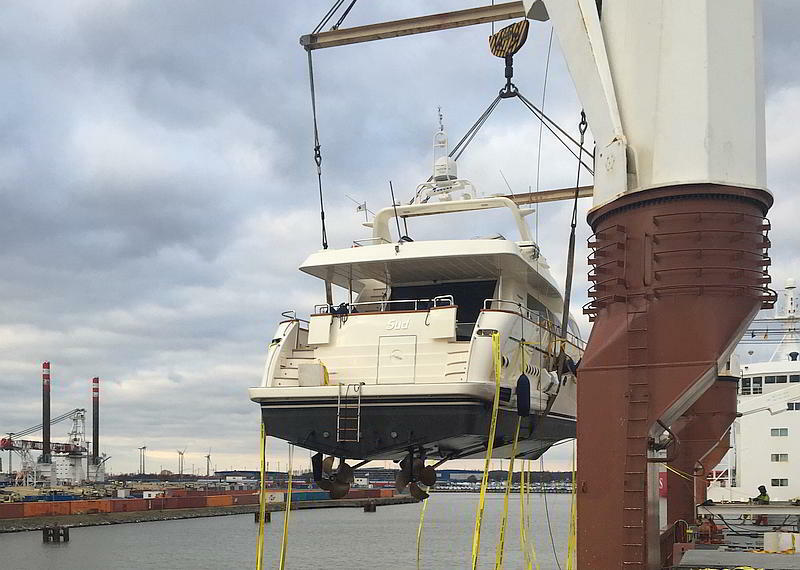 The yacht is lifted on deck height. 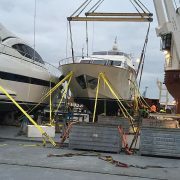 The crane turns the Yacht over the loading hatches and sets it down carefully. 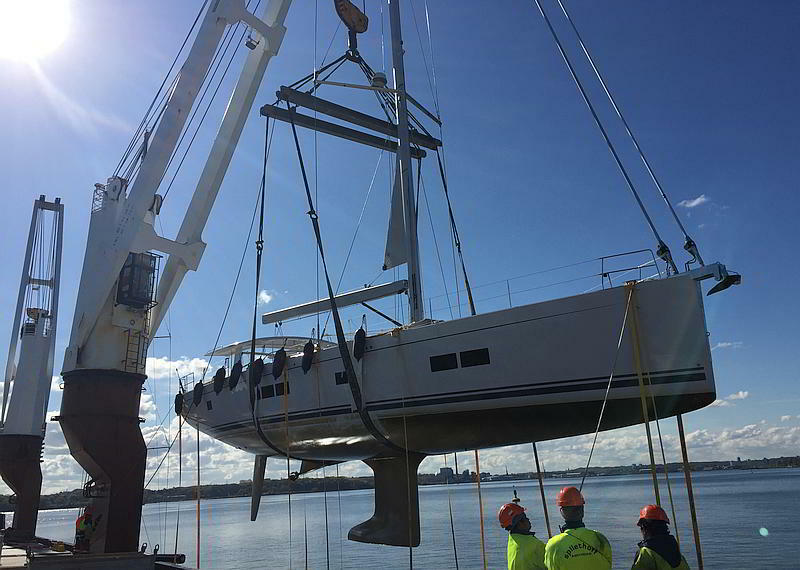 Under supervision of the loadmaster, the crew brings the Yacht into the final position. 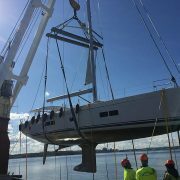 Now the yacht is placed in the transport cradle and is secured with straps. Additionally, the cradle is secured by stoppers and chains. 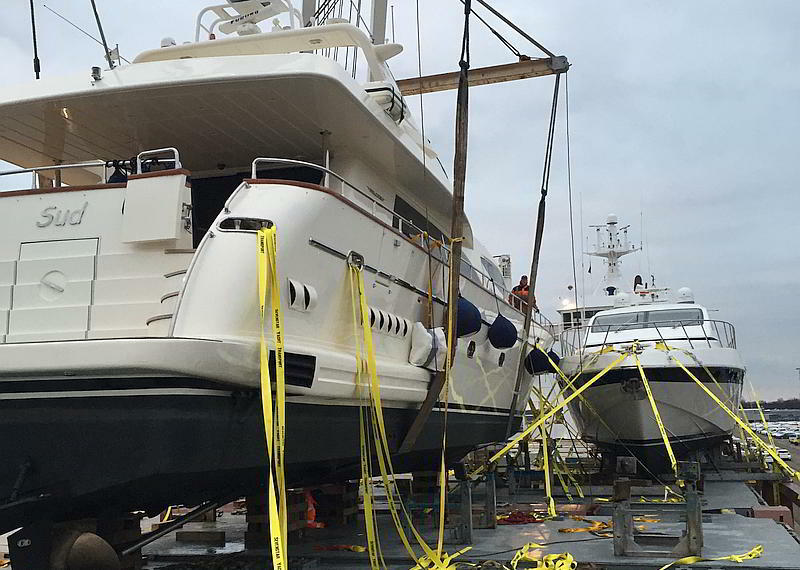 For the transport of such high valued goods like a yacht, a reliable transportation insurance should be taken out in any case. 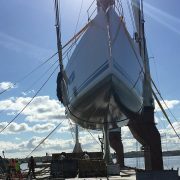 In our offer we normally include a so-called “all risk transportation insurance” by the insurer Nausch, Hogan & Murray, one of the leading yacht-insurers. 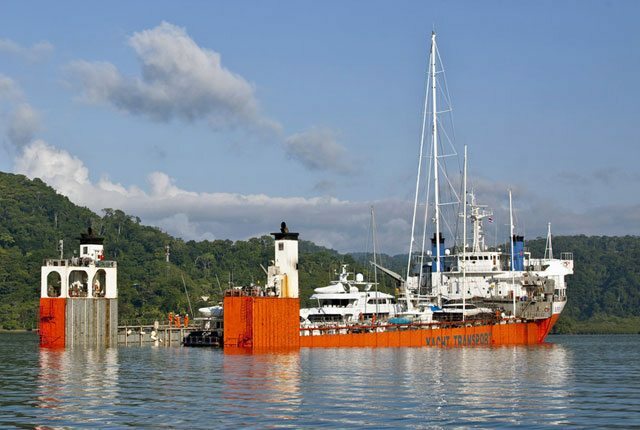 With potential questions you can contact us or Nausch, Hogan & Murray at any time. 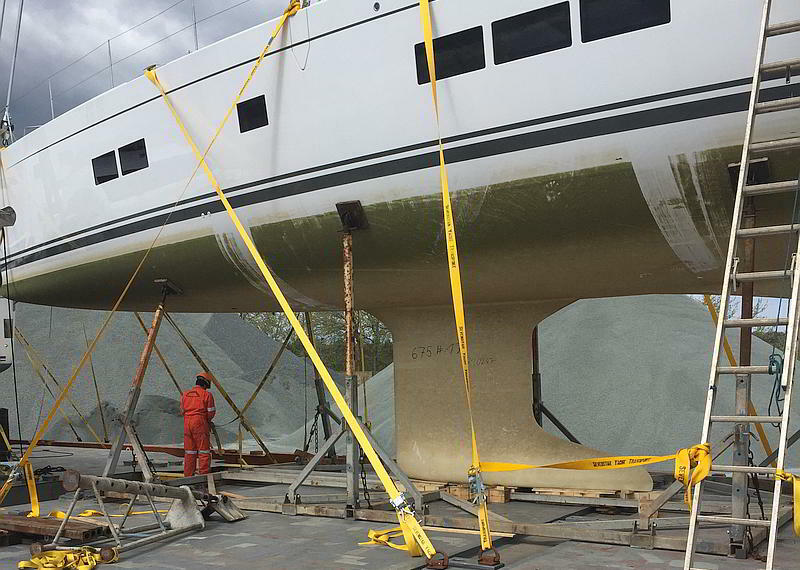 The law of most countries requires that the yacht owner or captain requests the customs clearance. 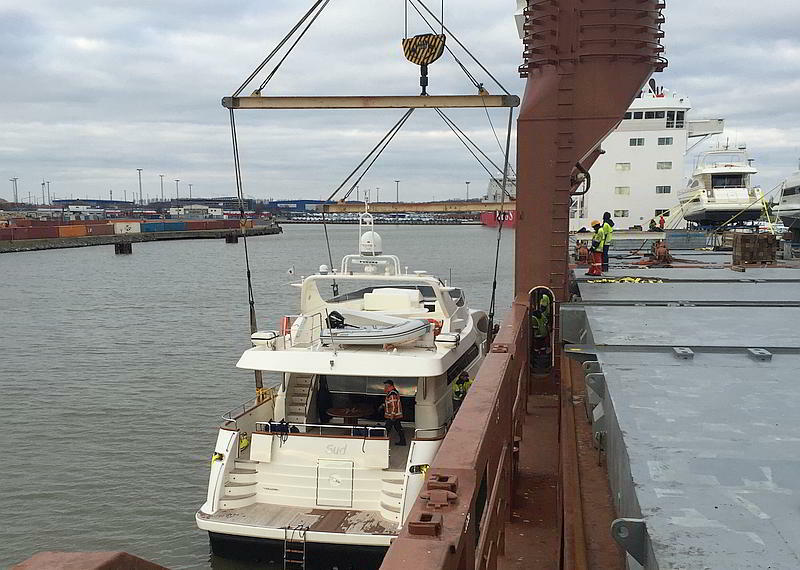 Due to the annual high volume, Sevenstar Yacht Transport can negotiate the best possible prices. 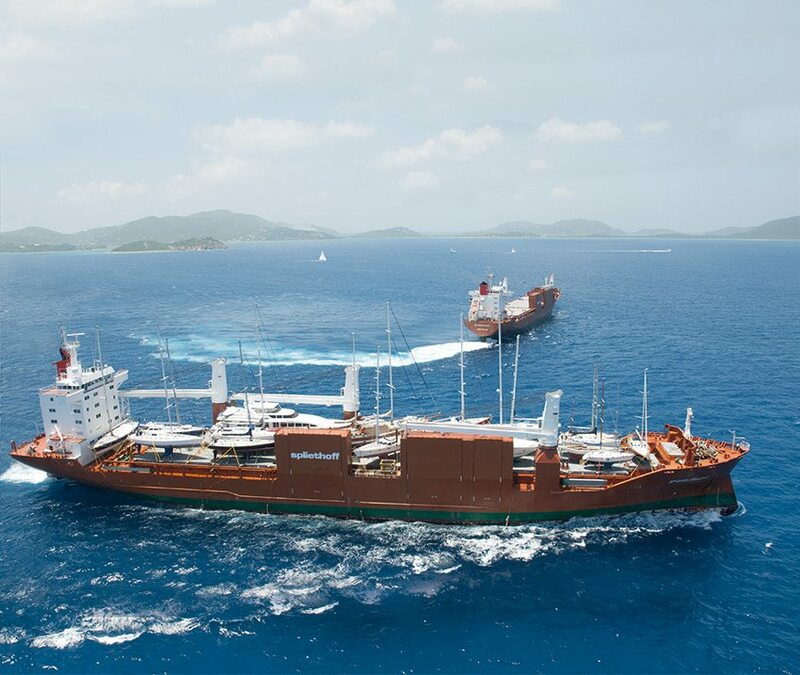 We support you whenever possible and guide you to the best local available customs broker.